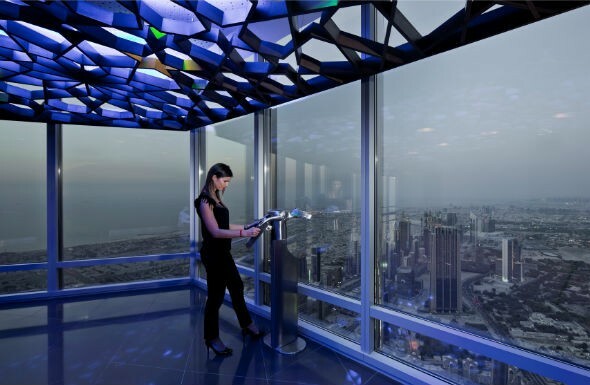 The highest observation deck in the world is a new reason to visit the Burj Khalifa in Dubai! At 555m or 1,821 ft high, At The Top, Burj Khalifa SKY on level 148 now holds the Guinness World Record for “Highest Observation Deck”. With an outdoor terrace, the new deck beats the previous world record holder, Canton Tower in Guangzhou, China (at 1,601 feet). Visitors to the new observation level ascend via a dedicated elevator and can enjoy 360 degree views from level 125 on the way back to earth. Dubai’s most iconic destination includes interactive experiences with a life-size screen to explore different corners of the Emirate. The Burj Khalifa holds three other world records – tallest building, tallest man-made structure and highest restaurant.